To be honest, I almost didn’t make it this year. There were projects that need finishing at a job that gave me real money. My 3-day badge would have made triple the purchase price on eBay. My wife wasn’t going with me, because there was no way I was going to make her stand in line like that while she was 6 months pregnant. Still, had been a long, hard, and almost getaway free summer, and my friends had a hotel room for me to crash in, so off I went. 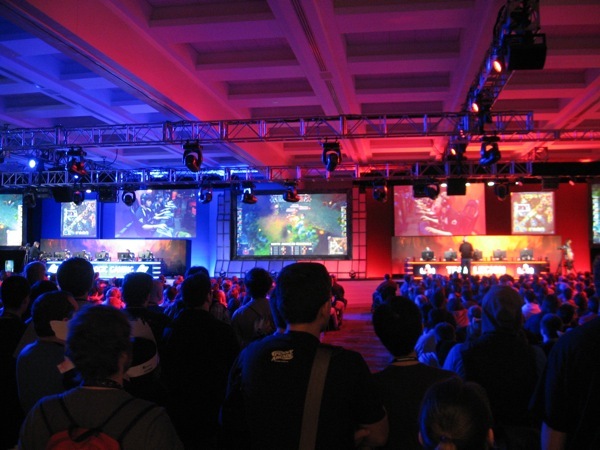 PAX is the biggest convention Seattle has ever seen, and it is the ultimate test of fandom resolve. Pre-release Triple-A games are everywhere but you could stand in line up to six hours to try them out. Every venue, restaurant, and parking line looks like the crowd bulldozer scene from Soylent Green. After having to park 6 stories in the air, I was done. The only panel I went to was the Extra Credits community event (Which was a blast! ), and I only lined up for about 4 demos. It turns out that this is the way to go at a place like PAX. It’s PAX, people! There is always something new to see and do. Even if you’re stuck in a corner people-watching, it’s still a better show than what you can see at home. There’s always a Cosplay group, some free swag, or even invitations to special developer parties just floating around the convention hall. Go with the flow, and you shall find what you seek. You can see more pics of the convention after the jump.